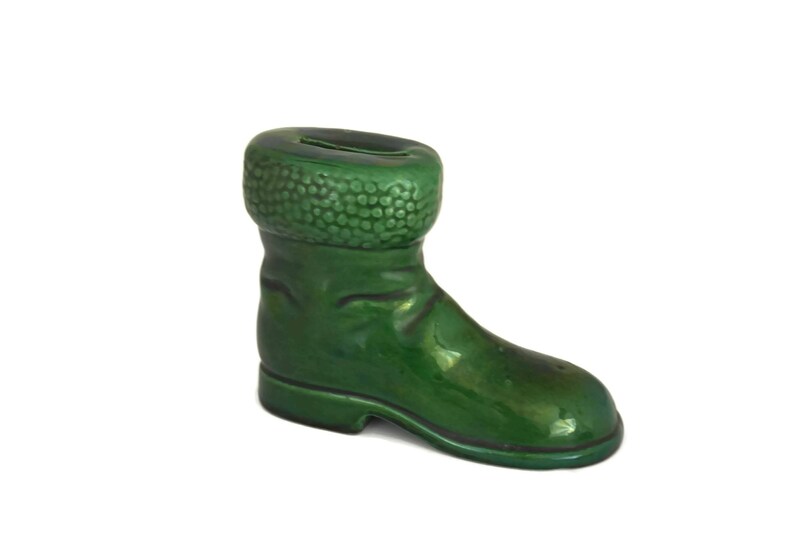 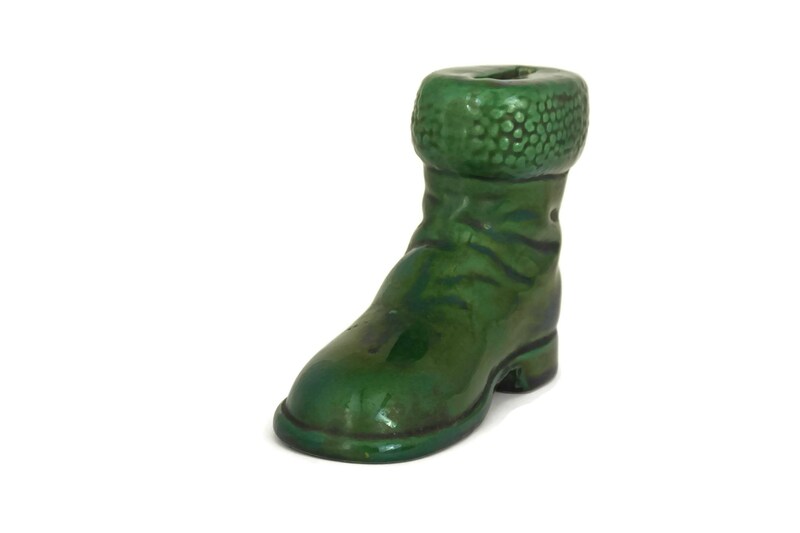 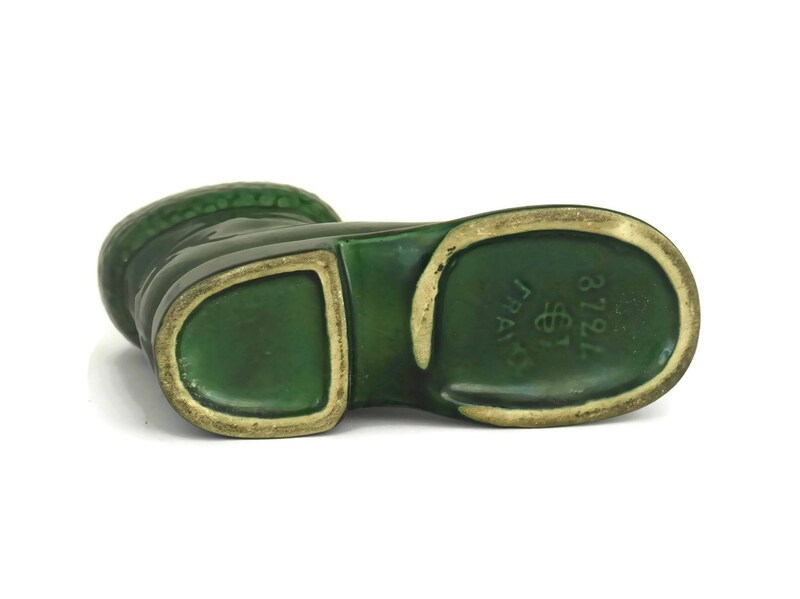 A charming vintage green Santa boot smash coin bank dating from the 1950s. 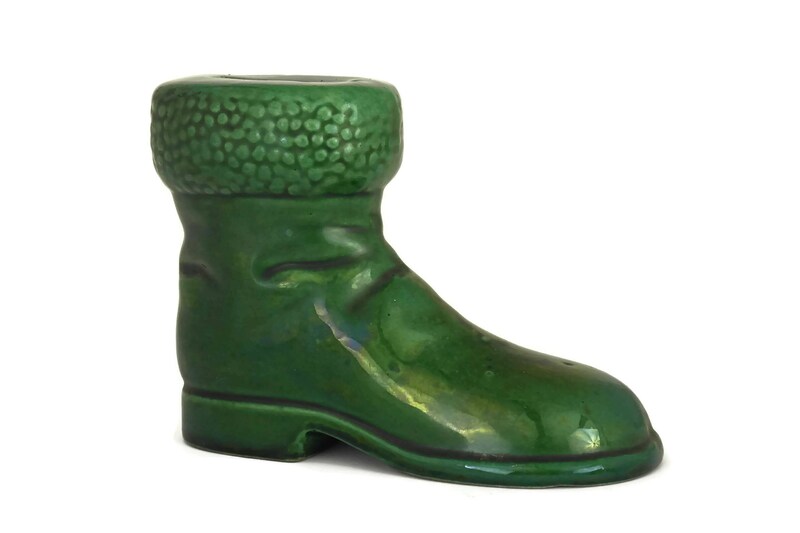 The French Christmas decoration was created by the Saint Clement pottery factory in the form of a Santa Claus' winter shoe. 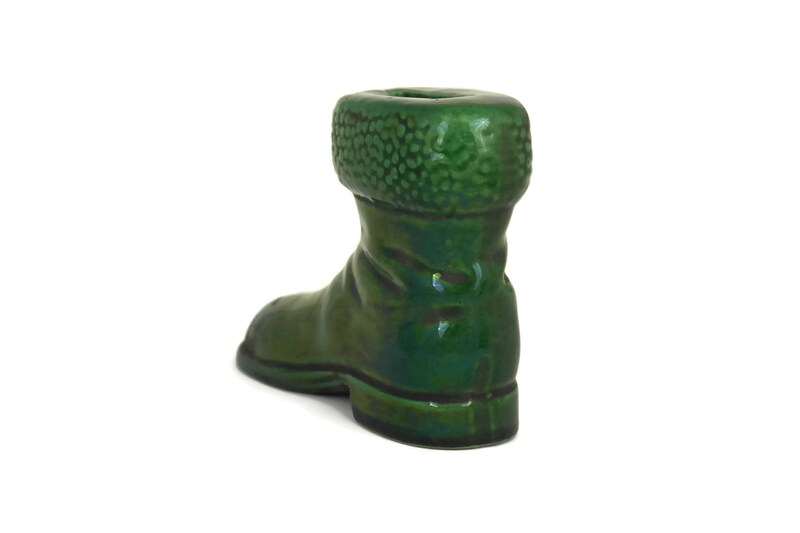 The company was renowned for its ceramic production during the mid century. 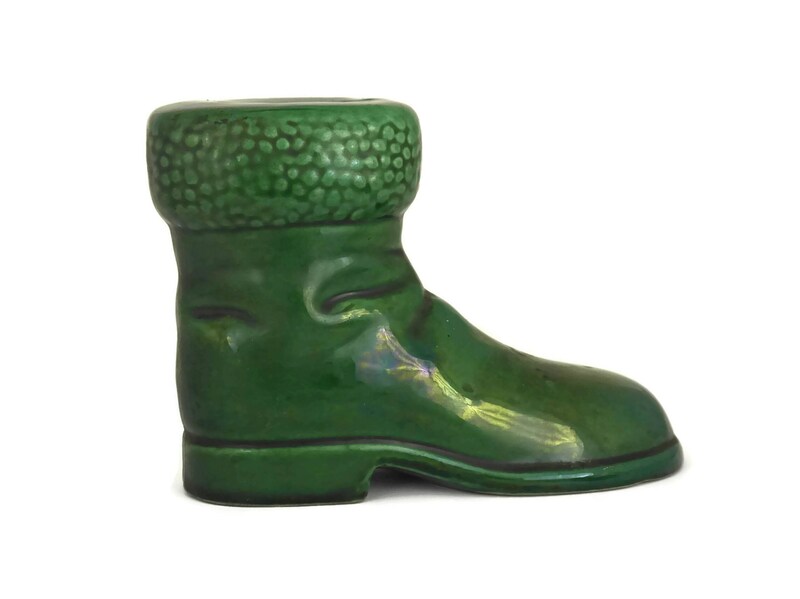 The savings pot has been glazed in a deep shade of green. 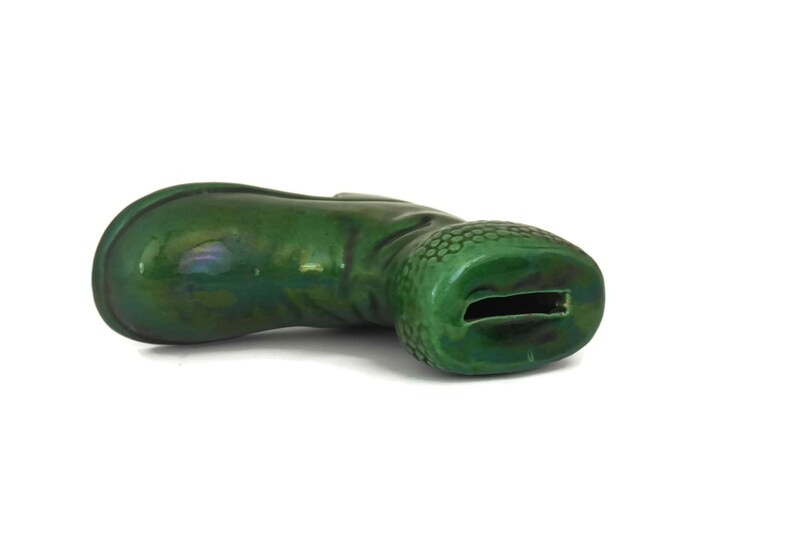 As there is only a large coin slot on the top and no opening to remove the coins, it is also known as a save and smash piggy bank. 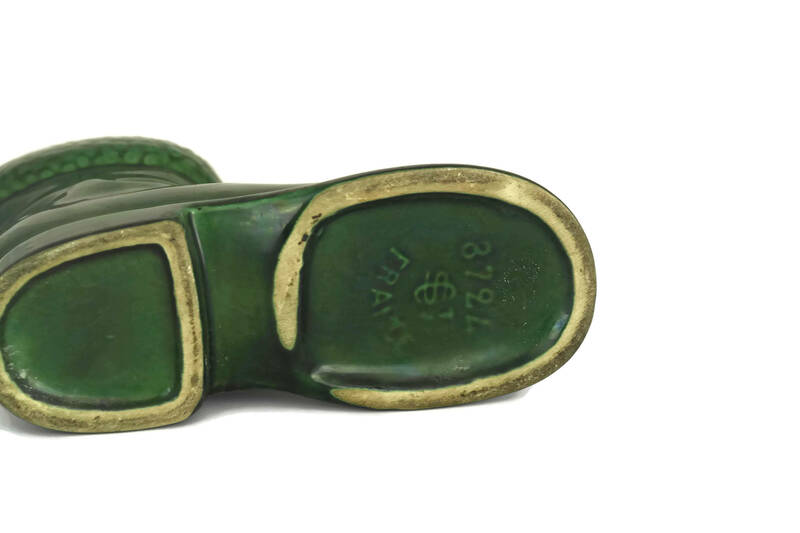 The underside has the Saint Clement manufacturer's mark and pattern reference number. 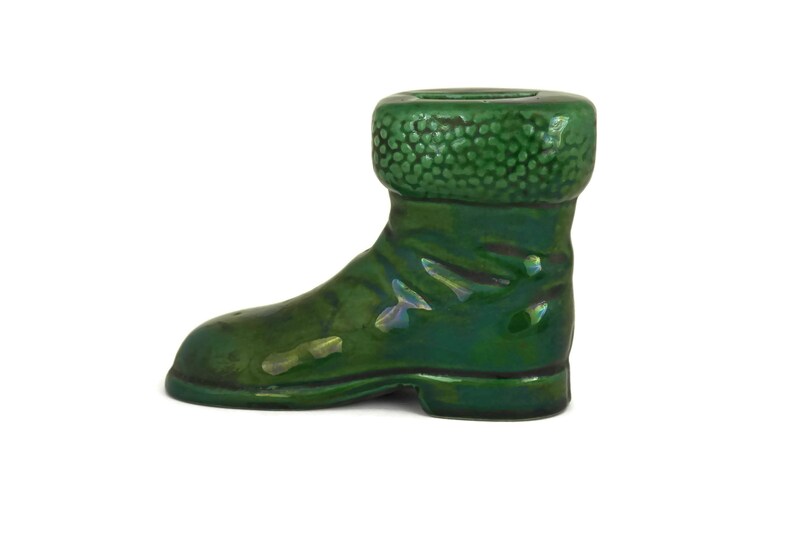 5 1/2” Long x 4" Tall x 2 1/2" Wide (14 cm x 10 cm x 6 cm). 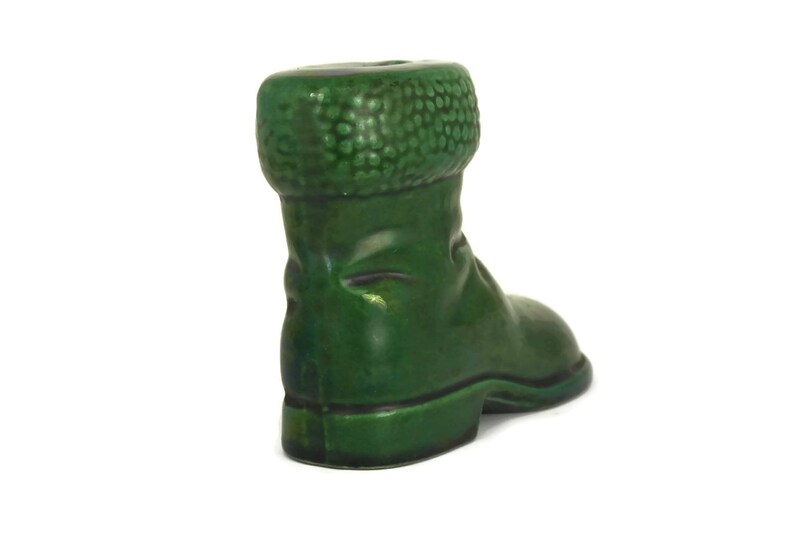 The coin box is in very good vintage condition without chips or cracks.